The Court didn’t rule on the health care cases today, but it still issued a blockbuster: its decision in Arizona v. United States, the federal government’s challenge to Arizona’s controversial immigration law. And although Arizona prevailed last year at the Court in a case involving a different effort to regulate immigration (in that case, by punishing businesses that hire illegal immigrants), it did not fare as well this year. Instead, the decision was largely (but not entirely) a victory for the federal government: the Court held that three of the four provisions of the law at issue in the case cannot not go into effect at all because they are “preempted,” or trumped, by federal immigration laws. And while the Court allowed one provision – which requires police officers to check the immigration status of anyone whom they detain or arrest before they release that person – to go into effect, even here it left open the possibility that this provision would eventually be held unconstitutional if not applied narrowly in Arizona. Section 6, which allows a police officer to arrest someone, without a warrant, if the officer believes that he has committed – at some point in time – a crime that could cause him to be deported. Justice Kennedy wrote the opinion for the Court, which had the full support of the Chief Justice and Justices Ginsburg, Breyer, and Sotomayor. (Justice Elena Kagan did not participate in the case, presumably because she was involved in earlier stages of the case while she served as the Solicitor General of the United States.) So the fifth vote of the Chief Justice was critical to having an actual ruling by the Supreme Court; otherwise, the Court would have tied four-to-four on three provisions of S.B. 1070, leaving no final Supreme Court decision. Before turning to the specific provisions of the law at issue, the Court began with an overview of the federal government’s near-exclusive authority over immigration issues that left the reader with little doubt that much – if not all – of S.B. 1070 would be struck down: while the Court acknowledged that Arizona had valid concerns about the effects of illegal immigration, the Court explained that the federal government’s power to regulate immigration is “extensive and complex.” Among other things, the Court emphasized that it is “fundamental” that foreign countries be able to communicate with just one government – the federal government – about immigration issues; equally important is the “broad discretion” that the federal government has when it decides whether and how to enforce immigration laws. With that groundwork laid, the Court then turned to the four provisions of S.B. 1070 at issue in this case. First up was Section 3 of the law, which makes it a crime to fail to carry valid immigration papers while in Arizona. The state had argued that this provision should survive because it essentially does the same thing as federal law, which also requires immigrants to carry valid papers. But the majority of the Court was unconvinced. First, the Court explained that Congress had already made clear that it would provide the full (and only) set of standards to govern when and how immigrants must register with the federal government – a concept known as “field preemption.” When Congress has provided this full set of standards, the Court continued, state efforts to govern the same thing cannot be valid, even if the state laws and regulations are identical to the federal ones. So it wouldn’t matter if Section 3 did the exact same thing as the federal laws. But in any event, the Court continued, it doesn’t, because the penalties for a violation of Section 3 are different from (and tougher than) those imposed by federal law. The Court next turned to Section 5(C) of S.B. 1070, which would make it a crime to apply for or hold a job in Arizona unless you have valid immigration papers. Unlike Section 3, Section 5(C) has no counterpart in federal law. But the Court again relied on the concept of “field preemption” to hold Section 5(C) invalid, explaining that Congress had set up a comprehensive system to deal with employment of undocumented workers. Although Arizona argued that Section 5(C) does not conflict with any federal laws because the federal system only deals with employers, and does not make it a crime for undocumented workers to work in this country, the Court was unmoved. To the contrary, it explained, Congress made a “deliberate choice” not to criminalize the very conduct that Arizona now seeks to make a crime. The third and final provision that the Court struck down was Section 6 of S.B. 1070, which received virtually no attention at the oral argument in April. It would allow police officers to arrest someone without a warrant if the police officer has probable cause to believe that the individual has done something that would justify his deportation from the United States. Here too the Court emphasized the federal government’s control of the process of deporting (also known as removing) undocumented immigrants from the United States. Under the federal system, an undocumented immigrant can only be arrested and held for possible removal if there is a warrant for his arrest or if he is likely to escape before police can get a warrant. Because Section 6 would give state law enforcement officials a much broader power to make arrests than under the federal system, the Court concluded, it cannot stand. 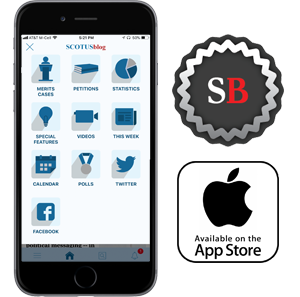 Much of the late April oral argument in the case focused on Section 2(B) of S.B. 1070, labeled by opponents as the “show me your papers” provision, which requires police officers to check the immigration status of anyone whom they arrest or detain and allows them to stop and arrest someone if they believe that he is an undocumented immigrant. At oral argument in April, it seemed likely that the provision could survive, and it did – at least for now. The Court relied heavily on the fact that Section 2(B) requires police officers to contact the federal government to verify an individual’s immigration status, which is something that police officers could do on their own initiative anyway (and which Congress has in fact encouraged state and local governments to do). Citing language in the Arizona law that prohibits police officers from considering race or national origin, the Court held that the provision could at least go into effect for now. But it left open the possibility that opponents of the law could return to court to challenge it once it has been enforced and Arizona courts have a chance to interpret it. The Supreme Court made quite clear that the key to the provision surviving in the future will be whether it is interpreted in a way that does not prolong detentions of people who are stopped by police. The upshot is that if a person is arrested, Arizona can check his immigration status while it holds him. But if the person is merely detained – for example, at a traffic stop – the immigration check will probably take too long and he will probably have to be released. The check can then continue without the individual there. Three Justices – Scalia, Thomas, and Alito – agreed with the other five members of the Court that Section 2(B) was not trumped by federal law and could go into effect, but they disagreed with other aspects of the majority’s conclusions. Justice Scalia’s opinion (which represented his views alone) was by far the most strongly worded of the three, with the same mix of scorn and disbelief that he displayed at oral argument. And the overarching theme of his dissent was the same as well: as a sovereign state, Arizona has a right to keep out people who aren’t supposed to be in this country, much less in Arizona. And S.B. 1070 only applies to people who aren’t supposed to be here at all. Justice Scalia singled out for special criticism the federal government’s argument that it needs sole control over immigration issues because it needs “to allocate scarce enforcement resources wisely.” Given the myriad problems that illegal immigration has created for Arizona, Justice Scalia asked, why on earth should this mean that Arizona can’t spend its own money and resources to combat illegal immigration? But what Justice Scalia seemed to find particularly galling was the President’s recent announcement – made after the oral arguments in this case – that it would allow some young adults who came to the country illegally as children to remain here indefinitely if they can meet certain criteria. The administration of the new program, Justice Scalia predicted, will entail “considerable” costs that “will necessarily be deducted from immigration enforcement” – casting doubt on the validity of the federal government’s lament regarding the need to conserve scarce resources. Justices Thomas and Alito filed opinions that were both shorter and more reserved than Justice Scalia’s. 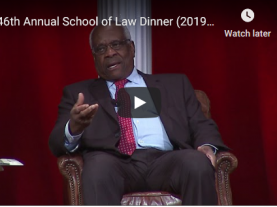 Like Justice Scalia, Justice Thomas would have allowed all of the provisions of S.B. 1070 to go into effect, based on his own narrow views about federal preemption generally. Justice Alito, by contrast, agreed with the Court that Section 2(B) should be allowed to go into effect and that Section 3 is trumped by federal immigration laws, but he disagreed with the majority’s conclusion that Sections 5(C) and 6 were trumped as well. After today’s decision in this case, the Court recessed until Thursday morning at ten, setting the stage for an all-but-certain announcement of the Court’s decision in the challenges to the Affordable Care Act. We’ll be back at nine that morning to cover the release in our Live Blog; later on that day, we’ll report on the opinion in Plain English. Once again, stay tuned . . . .